West Coast Metal Buildings is a relatively new player in the metal building manufacturing industry but is fast catching up. Established in 2003, the company had its humble beginning in Hermiston before expanding to Salem, Oregon. West Coast Metal Buildings specializes in carports, barns, boat covers, RV parking, sheds, patios, garages and storage areas. It also offers custom built structures, especially for those looking for solutions for odd dimensions. 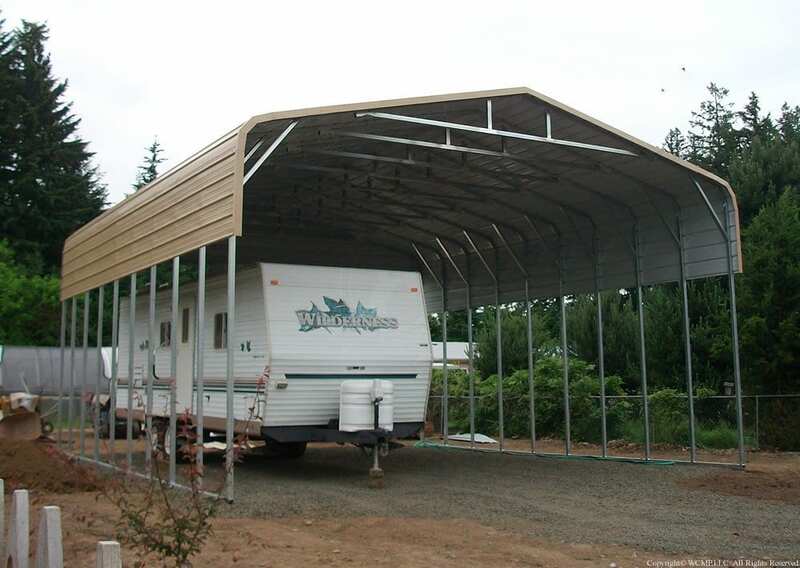 It bills itself as having the most complete line of carports and garages in the industry. West Coast Metal Buildings delivers and installs in Oregon, Idaho, California and Washington. What to expect from West Coast Metal Buildings? 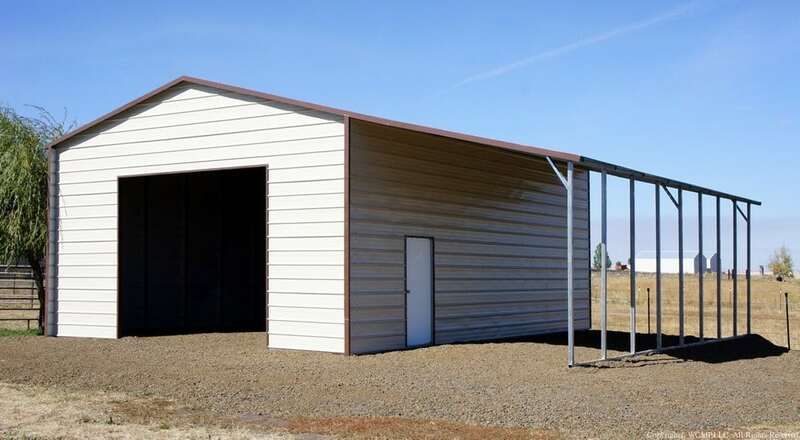 What is really special about West Coast Metal Buildings is that it delivers and installs buildings of whatever kind without charging an extra cost. Nevertheless, clients may still choose to install the buildings themselves. They can pick up the materials or they may request for the materials to be delivered on their project site. A printable installation manual for standard buildings is provide with no additional cost. West Coast Metal Buildings also offers free quotation service. It has a complete online estimating solution available on its website. Its happy customers would testify about its speed and efficiency in installing the buildings. It claims of having one of the shortest lead time for delivery in areas it serves. In most cases, West Coast Metal Buildings installs buildings in 10 weeks or less. Most of the products of West Coast Metal Buildings are easy to assemble, where installation can be done in just one day. Depending upon the size of the building, installation may take two days longer. The company’s buildings come with warranties. Its 12-gauge buildings are secured with a limited warranty for 20 years. It covers rust through of roofing and framing materials. A 10-year limited warranty come with 14-gauge buildings. All products from West Coast Metal Buildings are galvanized and environment-friendly as they are 100% recyclable. What are the roof styles that West Coast Metal Buildings offers? Choosing a roof style depends really on the purpose of the project. West Coast Metal Buildings offers three major roof styles. The most popular one is the round style which has an overhang measuring 6 inches on the ends. On the roof panels are standing seams that go from one end to another. This allows smooth transport of fluids to either chosen end. This perfectly suits carports. The second one is the stylish A-Frame horizontal style. A Gable roof shape results into a 6 inch overhang all around. The last one is the A-Frame vertical which is a preferred choice for protecting buildings from snow or debris. How much are the carports being offered by the West Coast Metal Buildings? West Coast Metal Buildings strives to offer the best value in carport available. Prices for carports depend on the roof style and dimensions. A carport with 14 gauge round style roof with a standard dimension of 12”x21” costs $795 while a 12 gauge round style roof amounts to $995. A carport with 14 gauge A-Frame Horizontal roof style with a standard dimension of 12”x21” has a selling price of $895. A 12 gauge A-Frame Horizontal roof style with the same dimension is meanwhile priced at $1,195. Lastly, a carport with 14 gauge A-Frame Vertical roof style with a standard dimension of 12”x21” is being sold at $1,245 while a 12 gauge A-Frame Vertical roof style of similar dimension costs $1,495. Prices may also vary from state to state. How to order from West Coast Metal Buildings? Placing an order with West Coast Metal Buildings can be done by calling their hotline 1-8666-404-7788. Their office hours during weekdays start from 8:30 am to 5:30pm. It is also open during Saturdays from 8:30am to 12:30pm. You may also send a message online. A message button appears on their website for easy access. A company’s representative will be in touch shortly and will be happy to assist. WCMB accepts major credit cards including VISA, Mastercard, American Express and Discover cards, but 3% card fee applies. How to prepare your site for easy installation of the building? Site preparation is an essential activity before any building project can be done. An unfriendly site can destroy plans and the overall project. Site preparation may consist of clearing the site from any unwanted materials such as trees, roots, debris and other obstacles and performing necessary rough grading. It is suggested that site preparation be done at least a week prior to installation. Also, part of the preparation is site surveying and securing building permits that are required in the area. It is important to take note that WCMBINC will not be responsible for any site preparation. This is the sole responsibility of the client. Before preparing the site for installation, it is also important to check on the things that may affect or could be affected by the placement of the metal building or carport such as setbacks and easements, topography, views, driveway, exposure to the sun, and trees that you want to keep. Remove all the vegetation and cut off or uproot trees totally. All underground lines for anchoring must have bench marks for easy recognition. Lay out properly the orientation and trench lines of the building. Set up the location for the storage and stacking of the materials. Fix the boundary line markers. Square and level off the land. Holes must be filled with sands or rammed earth. There must be a minimum of 2 feet workspace around the structure. Power lines should be fully shut off. Overhead powerlines should be 10 feet minimum.